These are some local places that I suggest for watercolor students. Please book early to avoid disappointment. My cottage, Le Tramizal (below) is available. There is one large bedroom with two large beds upstairs, and a large kitchen/living/dining room downstairs. The price is 600 euros a week in July and August, and 525 euros a week the rest of the year. Most of the following places are within a 30 minute walking or five minute driving distance of me. I am quoting the 2002 high season price, which might vary somewhat so please check prices when booking. High season is July and August. I start with the least expensive, camping, and go up to a four star chateau. You can email me with questions about them. There are several campsites near by to choose from though keep in mind that the weather in the Lot is quite unpredictable in summer. It can be rainy and cold at times. Madame Philipoteau and her husband run the Chambres d'hôte in Blanat (above, left). Blanat is a lovely hammed about two kilometers from me. Rates are very reasonable: 10 euros per person for bed and breakfast in a shared room that sleeps four, and 26 euros for bed, breakfast and a dinner (local cuisine), including wine and coffee. Private rooms are 35 euros, sleep two, and include breakfast. Sheets and towels are included in basic price and there are kitchen facilities for guests. Monsieur Philipoteau is a gracious host and Madame Philipoteau is a wonderful regional cook, noted for her savoury pastis and yummy merveilles amongst other delicacies. Note that many French websites have a British Union Jack to click on to for the English translation. There is no pool, but for 4 euros one can have a swim and a free drink in the pool down the road at Le Mas de Douze. A warm acceuil awaits weary voyagers. Hotel du Chateau, (above right) a small hotel with 36 rooms in the small town of Alvignac, is two kilometers from me. Double rooms are very reasonably priced at about 41 euros a night. 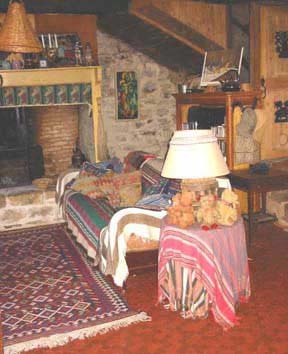 A note about gites and chambres d'hôte: one is expected to bring one's own sheets and towels to gites, and clean the gite thoroughly before leaving, though one can sometimes make arrangements with the owners to hire sheets and towels on the premises and have the gite cleaned. Chambres d'hôte supply linens, breakfast, sometimes dinners, and do not expect you to clean them before leaving. Gite rentals usually begin at 4pm on a Saturday until 10am the following Saturday unless otherwise arranged with the owner. 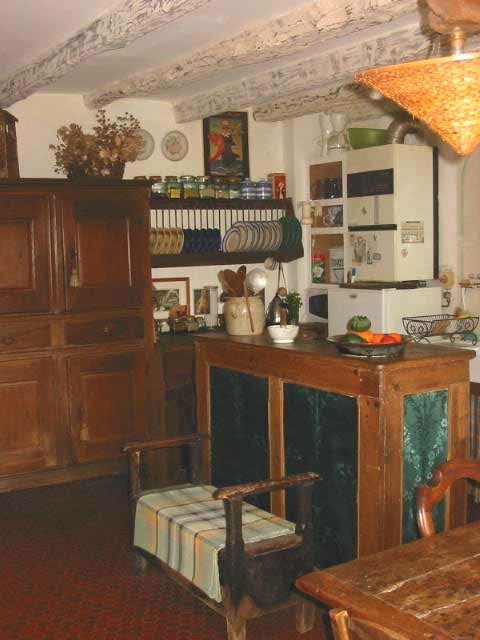 Elisabeth de la Perouse Colemanl welcomes guests in her lovely Provence styled home and garden (above left) either on a chambre d'hote basis or in a self-catering gite for two (four at a stretch). She lived in New York, her favourite city, for many years and speaks beautiful English. But, if your prefer, you can immerse yourself in French here: language, cuisine, and ambiance. 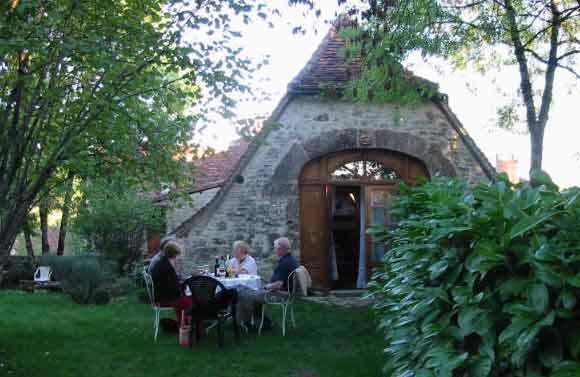 Elizabeth's house is in Themines, a lovely village 20 minutes away from Rignac by car. Bed and breakfast for two is 50 euros. Her number is 05 65 40 88 58. For a beautiful chambres d'hôte in an old mill in Gramat, try the Moulin de Fresquet (above center). It is top of the line as far as B&B's go and is rated 4 épis. You will need a car to get there, but it is only about five minutes away. See their website or email moulindefresquet@ifrance.com , telephone 05 65 38 70 60 or fax 05 65 33 60 13. 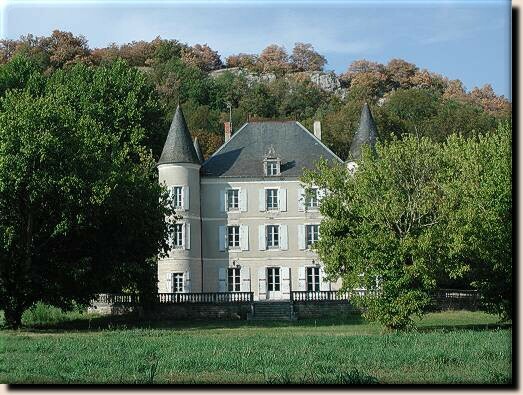 This charming 19th century chateau, La Tuilerie, is on the banks of the Dordogne river and is about fifteen minute north of me. It is run as a chambre d'hote, servin breakfast only, by a French couple, Francoise and Guy Raynal. Check out their website for rates and more info. Francois and Francis Negret's two bedroom gite (above left) is 395 euros a week in July and shares a large pool with the main house. 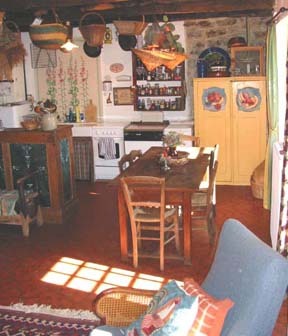 The gite is new, simply furnished, very clean and pleasant. There is a barbecue outside. Francoise speaks a little English. Telephone 05 65 33 60 37, from outside France dial 33 (for France) 5 65 33 60 37. Their house is a twenty minute walk from my studio. You can be sure of a warm acceuil here. It is rated three épis. This lovely little gite is Roquefraiche (above center), on the river under Rocamadour. It sleeps two, costs about 300 euros a week and is rated two épis. Contact M, José Baudel, Castelrouge, 45140 Luzech. Telephone 05 65 30 74 17. You would need a car to stay here. The charming little gite near Miers (above right) is ten minutes away by car but too far to walk from the studio. It a traditionally built house in a rural setting with lovely views. It can sleep three people and costs about 430 euros a week in July and August and 343 euros off season. It has a wood burning stove in the living room and a lovely shaded verandah. Contact Lillian Bell at lilianbel@aol.com for information and to book. 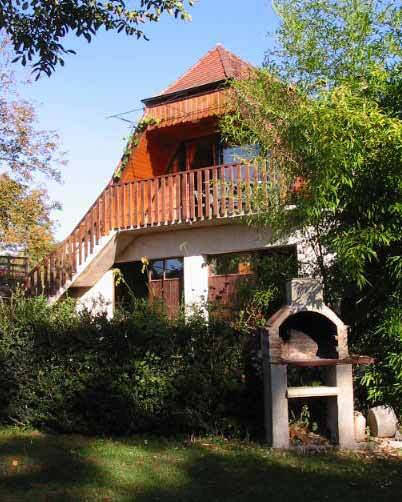 This gite in Roumegouse (above left) is rated two epis and is across the valley, a half hour walk away. It has three bedrooms and costs about 500 euros a week in high season. It is simply furnished. Contact M. Denis Monteil, Route de Rocamadour, 46500 Gramat, tel 05 65 33 13 49, fax 05 65 33 13 49. This restored cottage is one in a group of houses on a dairy farm at Vergnoulet (above center). It is a fifteen walk from the studio and has private lakes for fishermen. It can sleep up to seven people in two bedrooms and a mezzanine. It is rated three epis, and costs about 500 euros a week in high season. Email christine.balayssac@libertysurf.fr or call or 05 65 33 61 91 or in the evening 05 65 41 33 89. If you want to stay on a real French farm, Madame Simone Lascoste at Mazeyrac (above right), offers double rooms for 35 euros a night, including breakfast. Dinners are 15 euros. It is just west of Alvignac, about four kilometers from me so you need a car or bicycle to stay there. The phone number is 05 65 33 61 16. Sheets and towels are included. It's rated three épis. If you want to bring along a mob of friends and relatives, the following gites are a stone's throw from me and sleep many guests. Each house has a pool. Aux Deux Pigeonniers (above right) also operates as a chambres d'hôte sometimes: email them to query through their website. 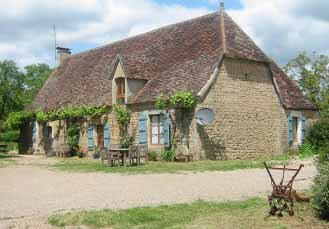 See the Gites de France website for a larger selection of houses in the area, and order a free catalogue of places. The Domaine de la Rhue, above left, is a very comfortable hotel. However, they don't serve meals other than breakfast. Check website for more information. Domaine du Cloucau, above right, serves meals and is rated 4 epi, the highest rating. The Chateau Roumegouse (above right), is a four star hotel, one of the Relais & Chateaux. 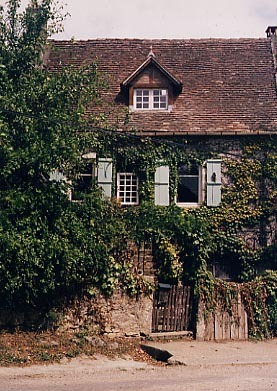 Roumegouse is a hameau in the Rignac commune.